Bow, London headquartered multi-national TRAD have ‘stepped up’ their support of former two time IBF Cruiserweight Champion of the World, Steve ‘USS’ Cunningham, who faces Tyson Fury in an IBF Heavyweight title eliminator at Madison Square Gardens in New York City this coming Saturday. Cunningham had previously benefited from TRAD ‘patch’ support for both sensational battles with current IBF Cruiserweight Champion Yoan Pablo Hernandez, however for the Fury fight TRAD Chairman Hayden Smith has taken this a step further, with Cunningham’s fight wear for this huge fight being liveried in the distinctive TRAD Group Plc colours. On receiving the news, of the increased support from TRAD, a clearly delighted Cunningham said. "I am really excited about working with TRAD again. This sponsorship means a lot to me, I am an American fighter, but my career has taken me all over the world and I am so thankful for all of my fans, both domestic and abroad. TRAD is a great company and I am looking forward to a long-lasting partnership with them." 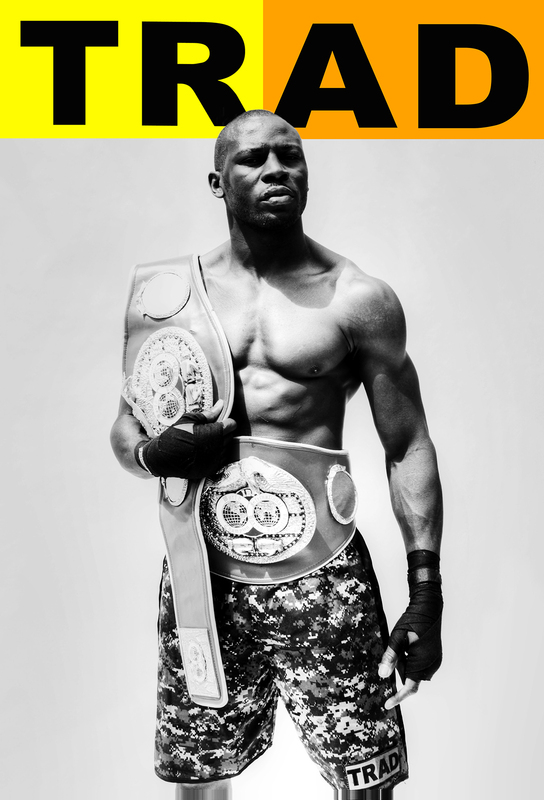 Steve ‘USS’ Cunningham versus Tyson Fury takes place at Madison Square Gardens on Saturday 20th April 2013 and will be broadcast live by NBC at 4pm EST in America and Channel 5 at 9.30pm in the United Kingdom. TRAD Scaffolding Company is the parent company of the TRAD Group, which also includes nationwide companies, TRAD Hire & Sales Limited and TRAD Safety Systems Limited. TRAD Scaffolding Company was founded in 1971 and enjoyed successful growth over the next two decades through delivery of consistently high service levels and a reputation for very high quality work. In 1991 a new company was formed by Hayden Smith and Des Moore to diversify into scaffolding systems and four years later was merged with TRAD Scaffolding to create a single scaffolding company that offered both traditional tube and system build solutions. The company has continued to expand successfully and has made considerable on going investment in stock, systems, vehicles and staff and is now involved in some of the most important construction projects in the UK, as well as developing export markets worldwide for their specialist scaffolding systems. Chairman, Hayden Smith, the original founder of the company, and Group Managing Director, Des Moore, have been with the Company for over twenty years.